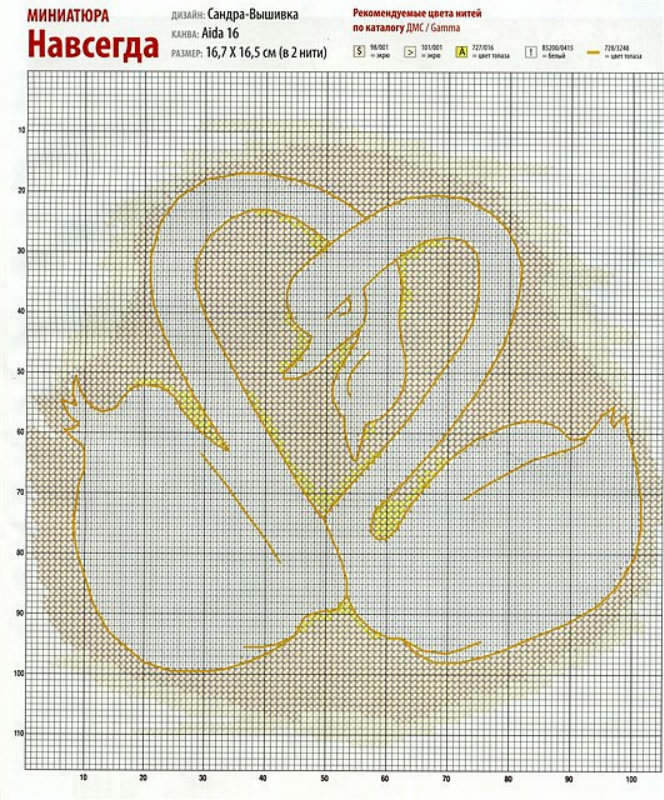 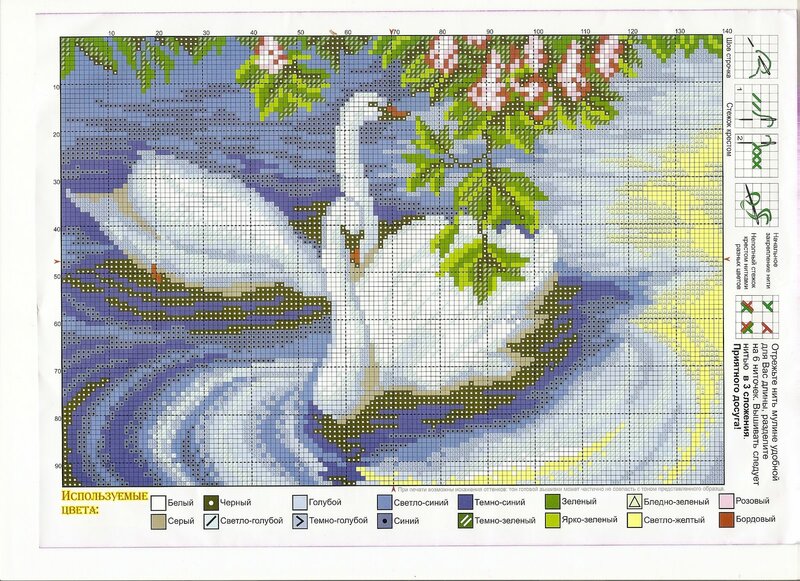 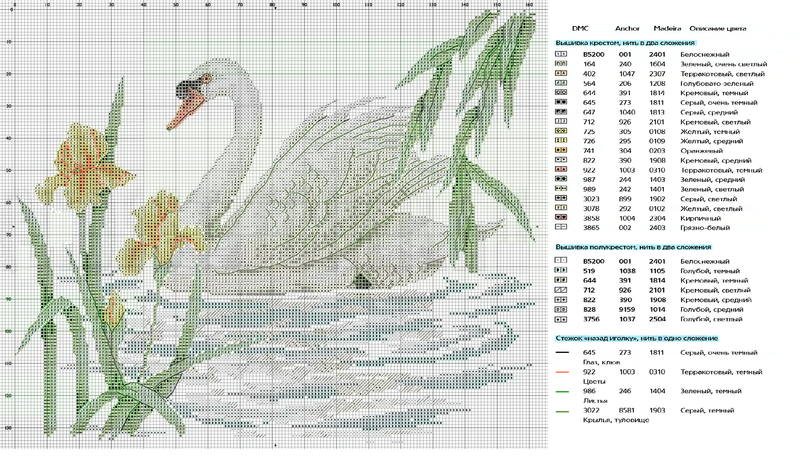 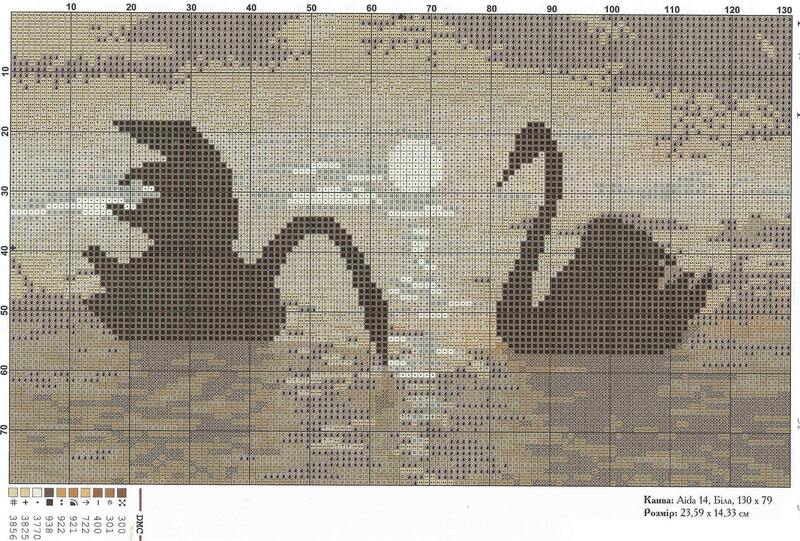 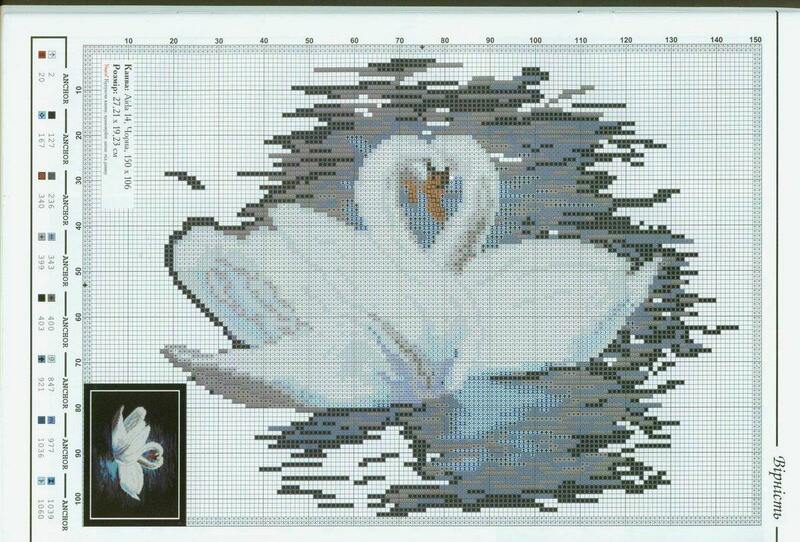 Set for cross-stitch "Swan fidelity"
Set for embroidery "Black swans"
Set for embroidery "Swans Prague"
Set for embroidery "White Swan"
Our earthly nature could not create birdsMore delightful and romantic than swans. 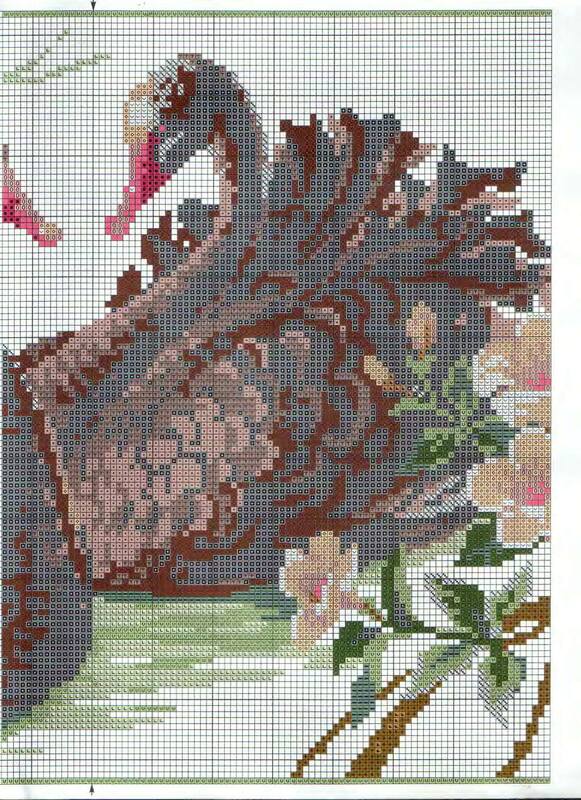 Their beauty sometimes seems fabulous, and the bird itself is an unearthly creature. 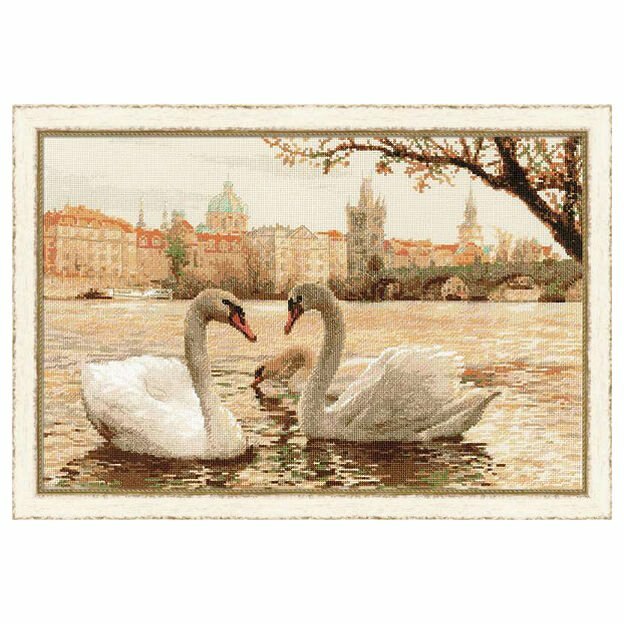 Even great writers of storytellers turned to swans, such as Andersen, who wrote a fairy tale about a nasty duckling who grew up in a stunningly beautiful swan. 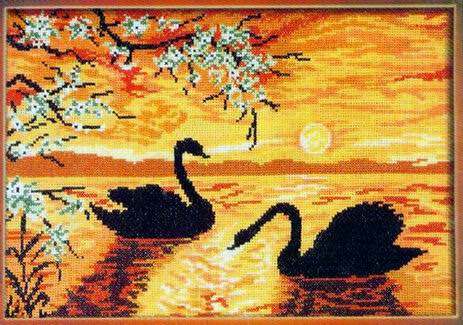 From floating on the water handsome just can not tear off the view, so there is a desire to depict them in paintings with the help of painting or embroidery. 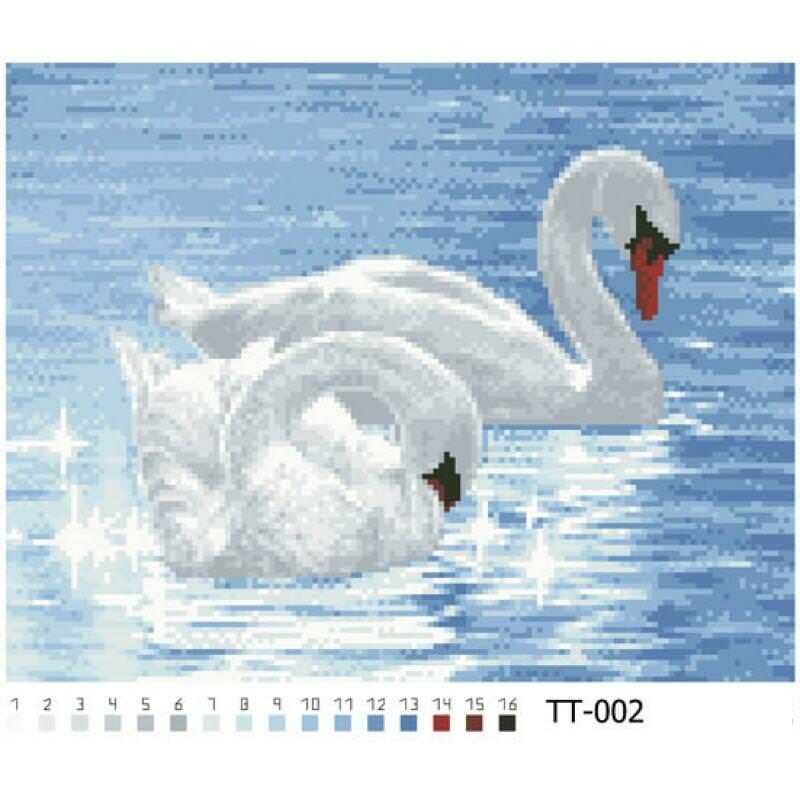 But apart from the dazzling beauty, swans possessAlso a good reputation. 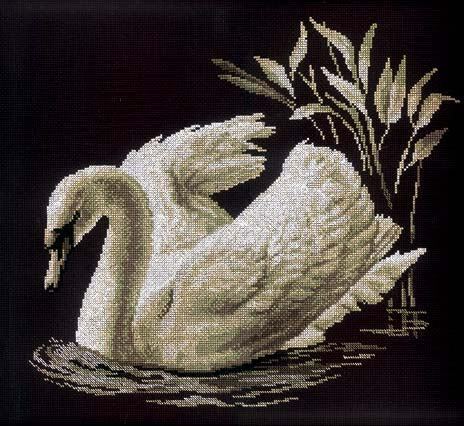 People have created legends in which swans have nobility and dignity, courage and loyalty. 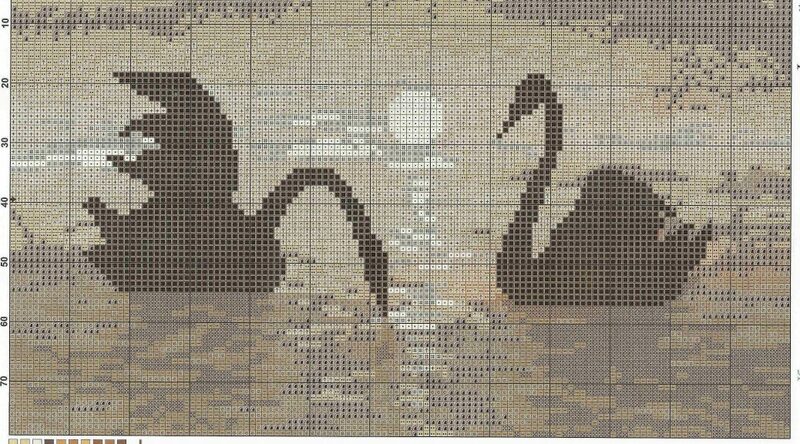 These legends are based on real events, where birds killed themselves when they lost their couple. 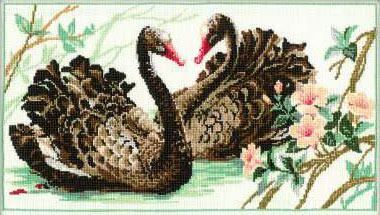 The image of swans has long been considered very favorable for any home. 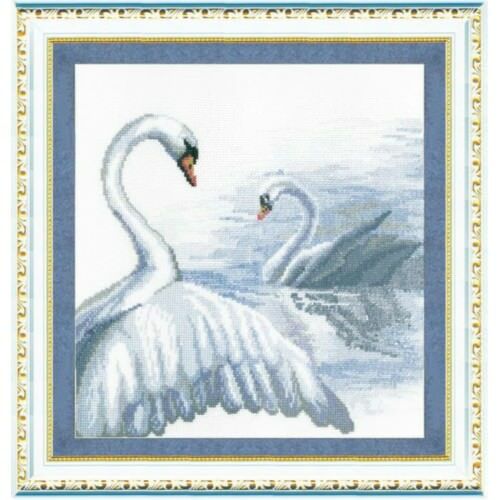 The pictures or pictures on which they are depicted bring peace and peace to the family, take away negative emotions and bring the energy of love and fidelity. 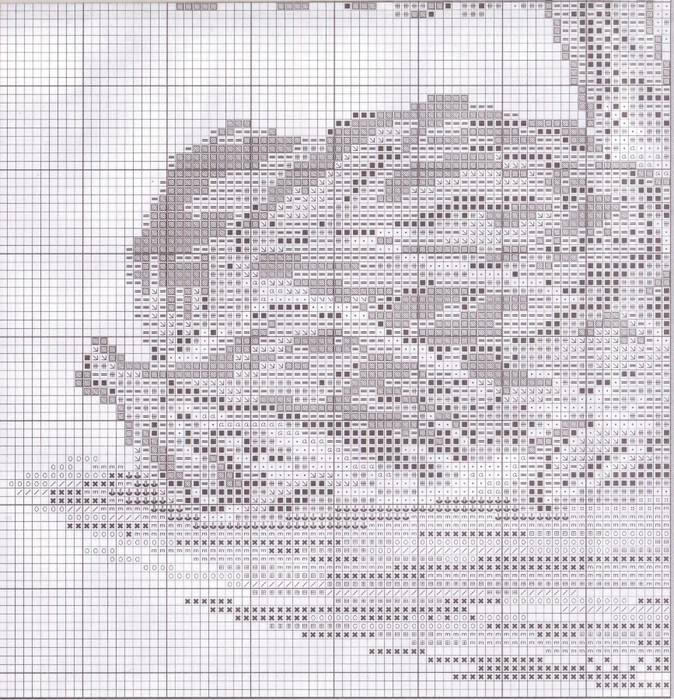 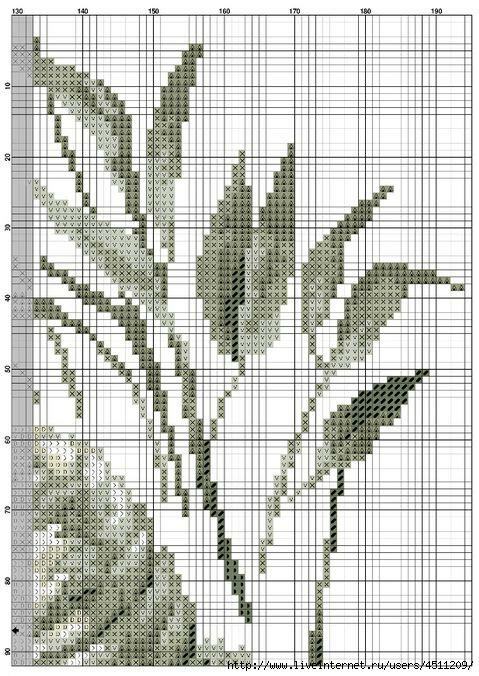 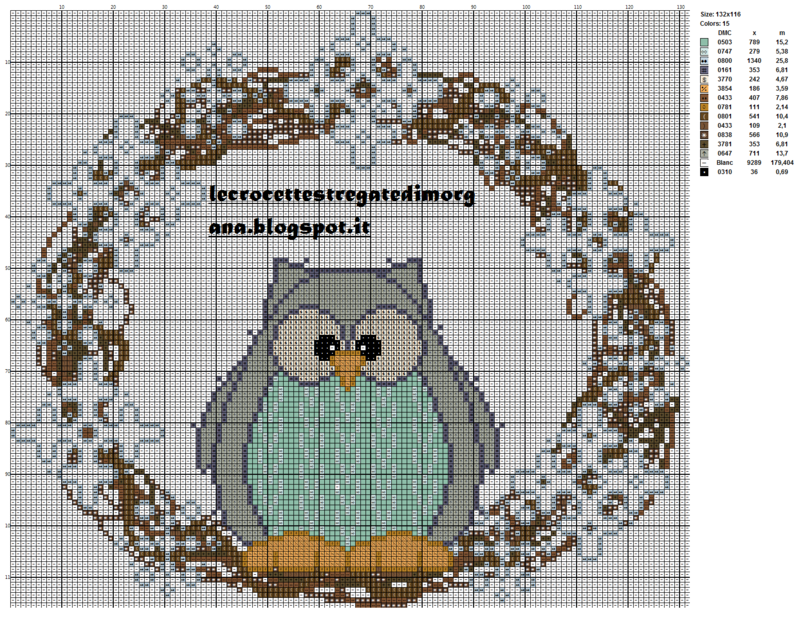 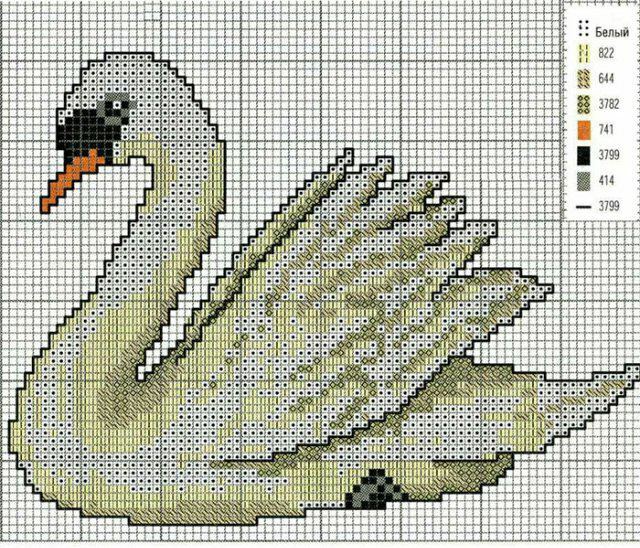 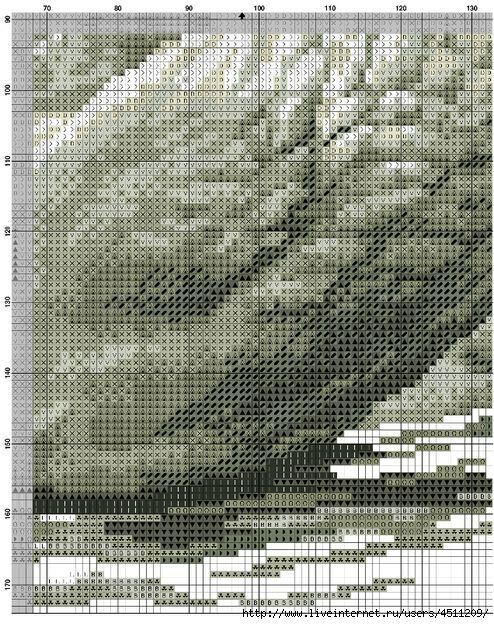 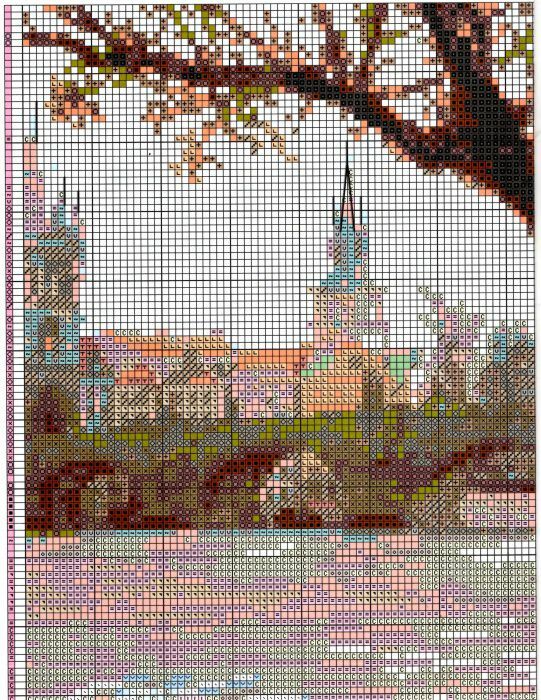 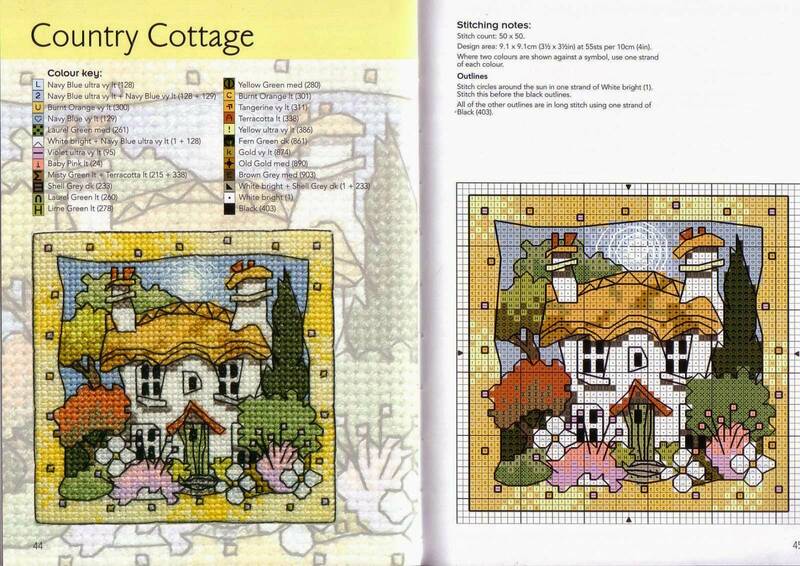 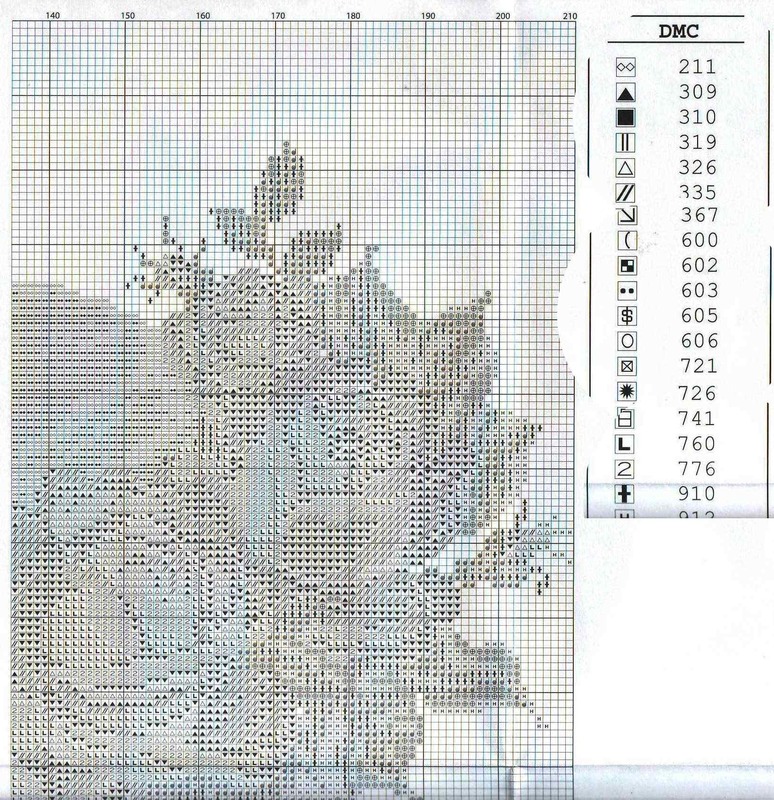 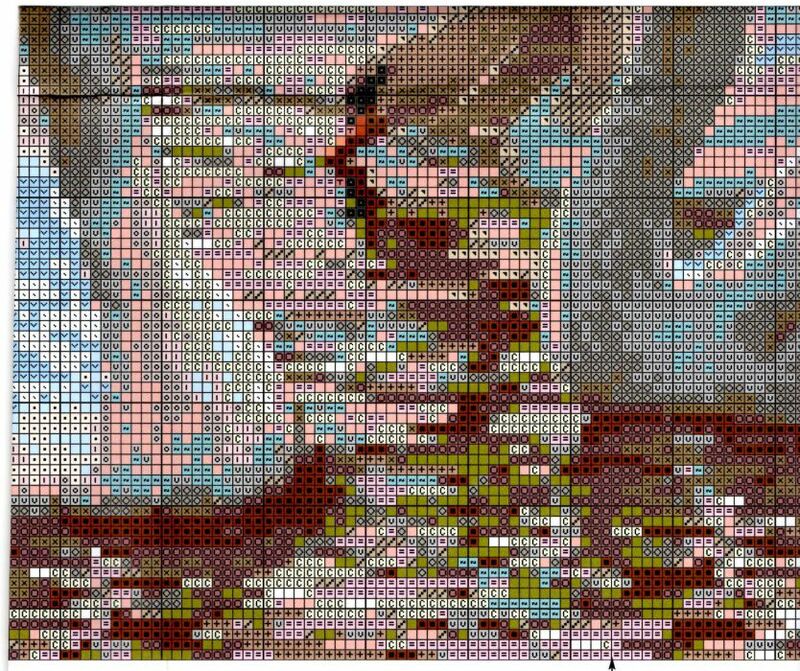 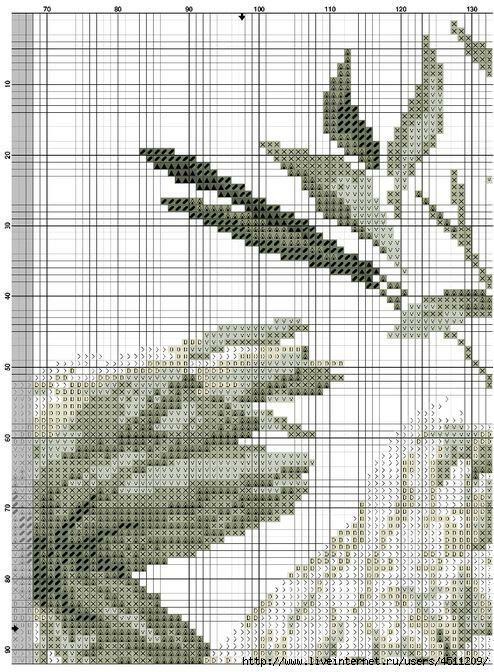 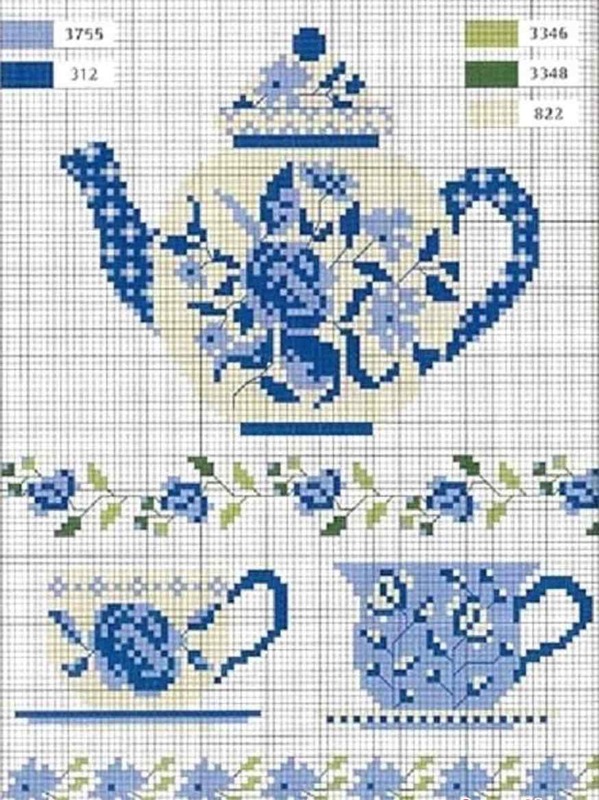 In this lesson, there are schemes for cross stitching, from which you can choose the one that you like more than others. 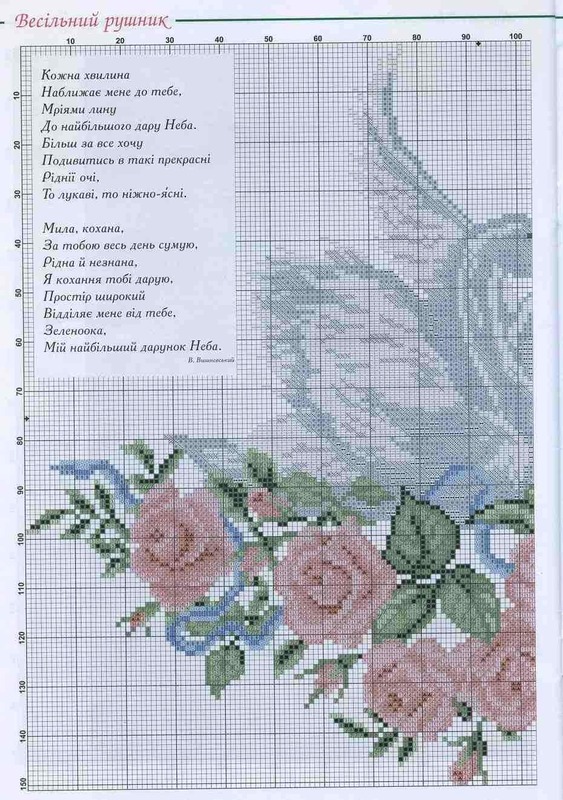 And now I would like to dwell on some schemes, the most unusual and attractive ones, which are in ready-made sets for embroidery.
. Embroidery is done with threads of a floss of LCA, located in a set on a cardboard organizer using the scheme and instructions for its implementation. 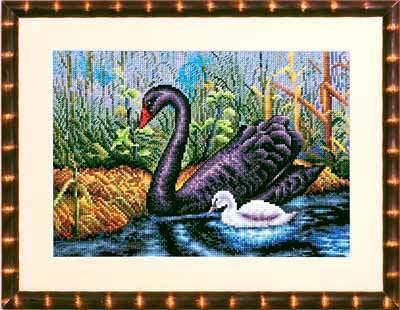 This magnificent picture of 40x24Centimeter, will surely attract the attention of those of you who love the special beauty of black swans. 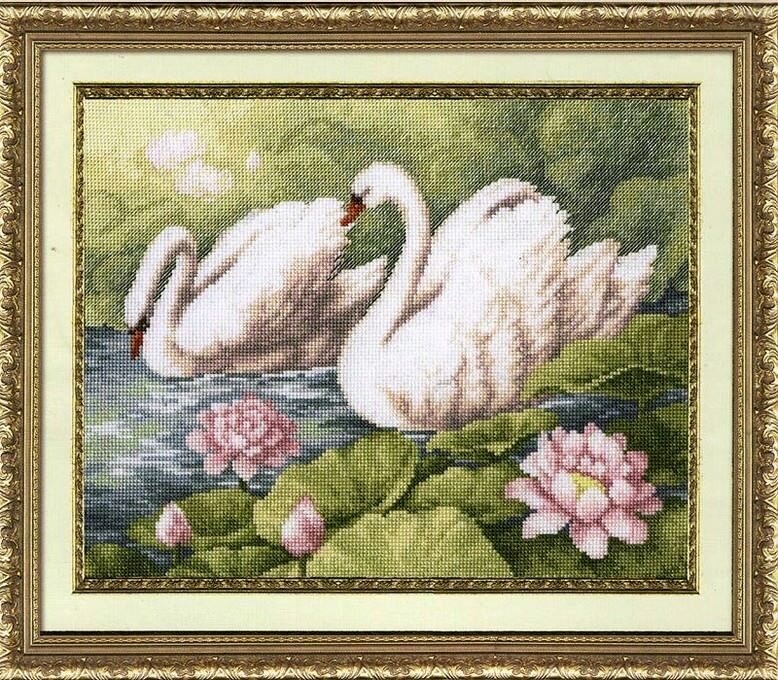 The meaning of the scheme attached to the set is that a pair of swans of black color swim along the reservoir against the background of beautiful pink flowers. 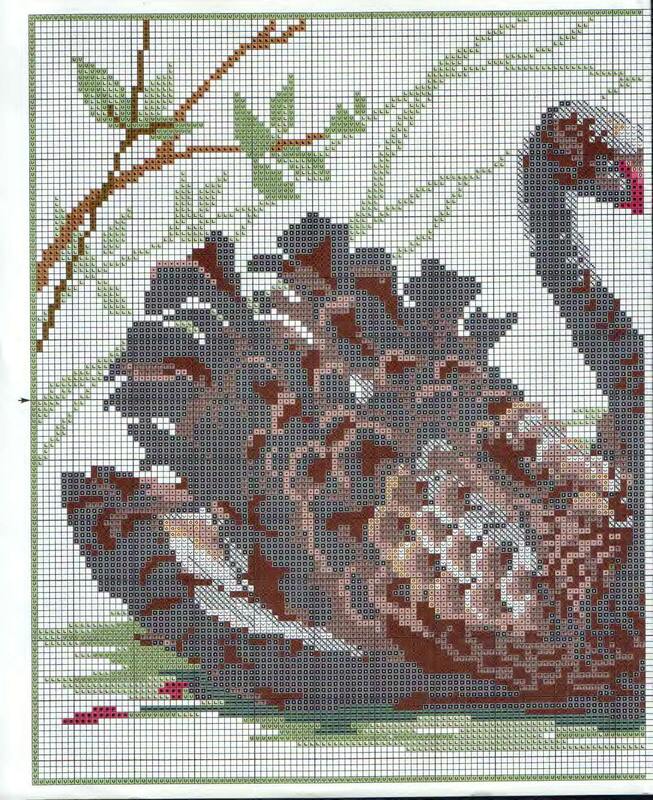 The contrast of black and shades of red is created by the beaks and feathering of swans, as well as the pink color of the petals. 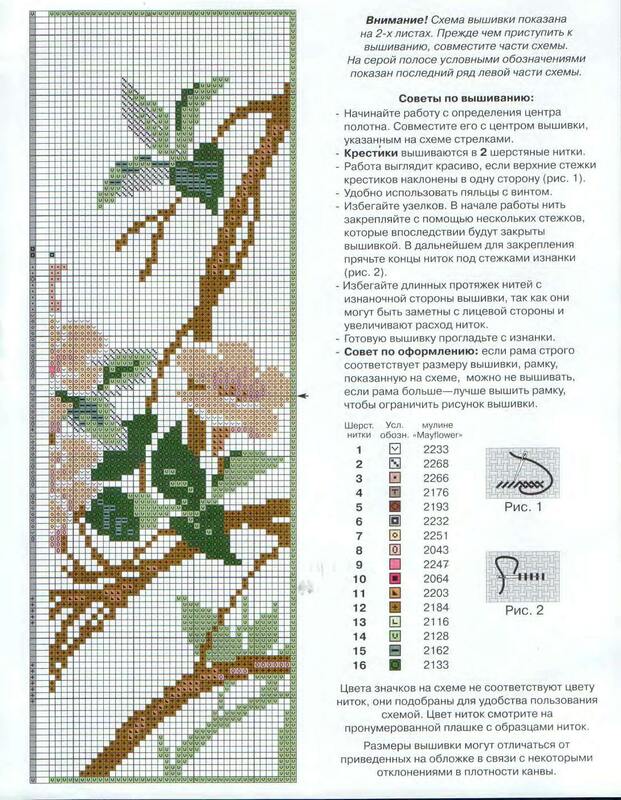 The embroidery technique is a countable cross, which is carried out with colored wool threads along the white cotton canvas, K 6. 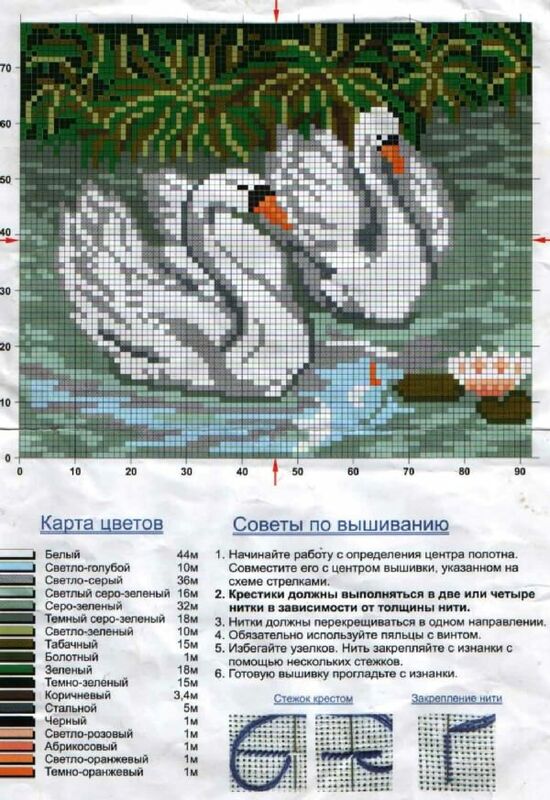 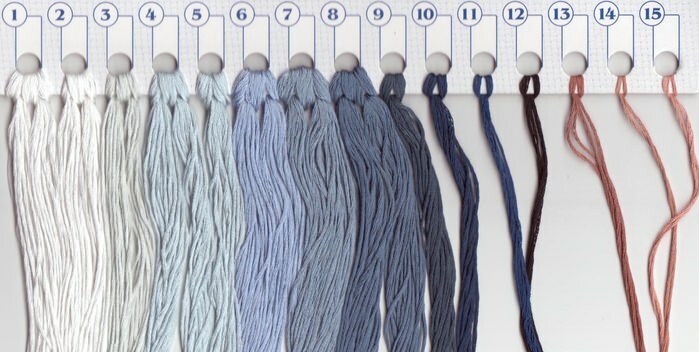 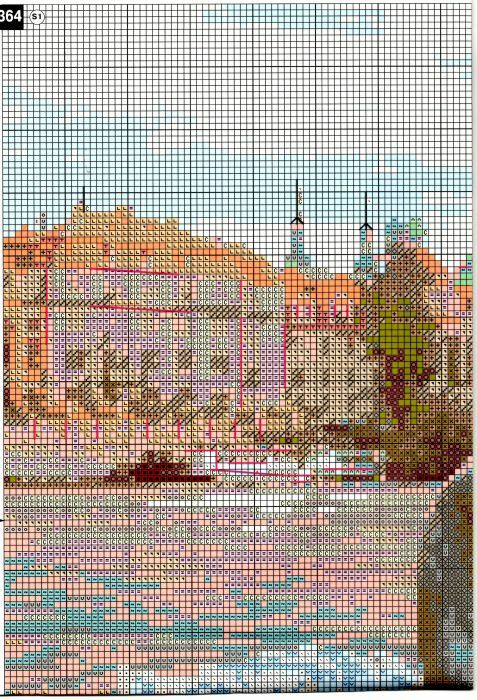 In total, when embroidering a picture, 16 colors of wool threads are required, and its size in crosses is 234х128. 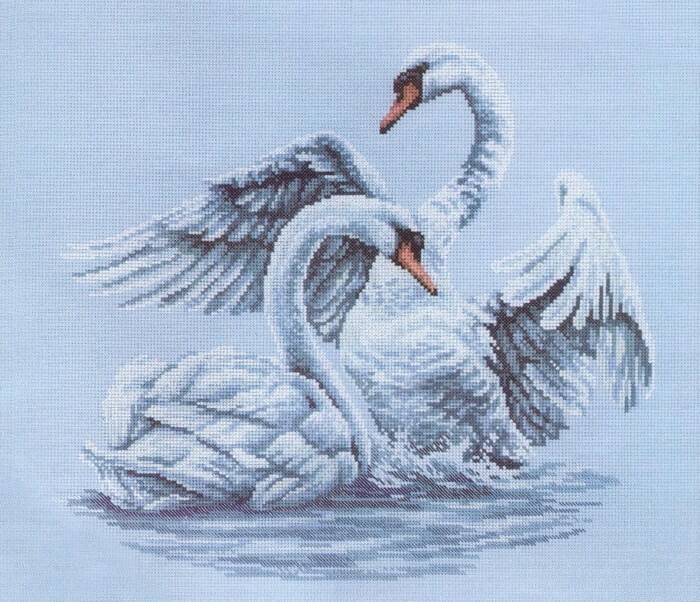 White swans that float on the watery surface onBackground of the city landscape and the ancient bridge cause the audience a variety of feelings, from calm contemplation to sad melancholy. 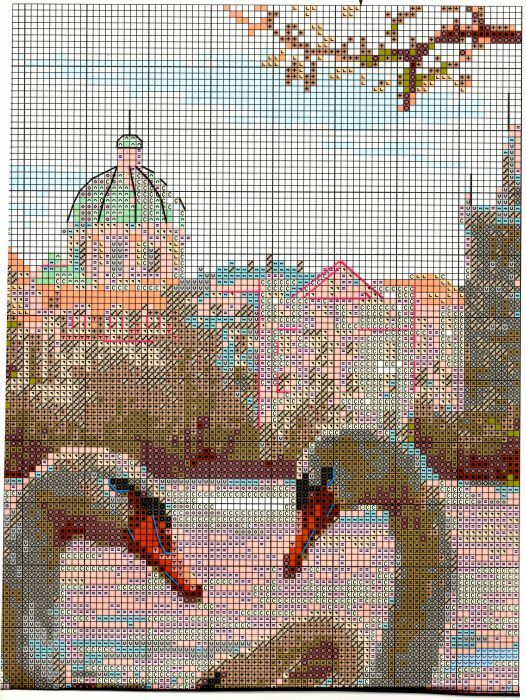 The whole picture is performed in a balanced white and brown tones, this is its peculiarity and charm. 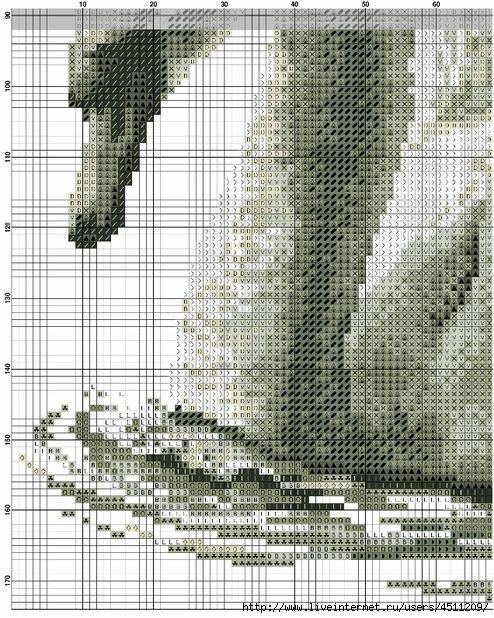 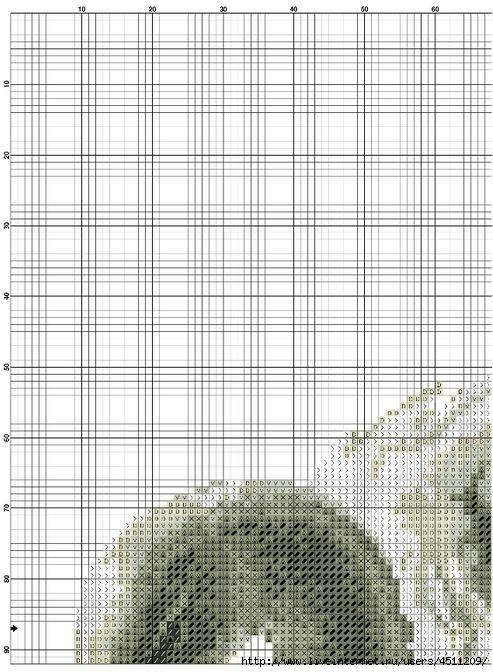 In the set there is a canvas Zweigart Aida 14 beige, threads of a mulina Anchor (25 shades). 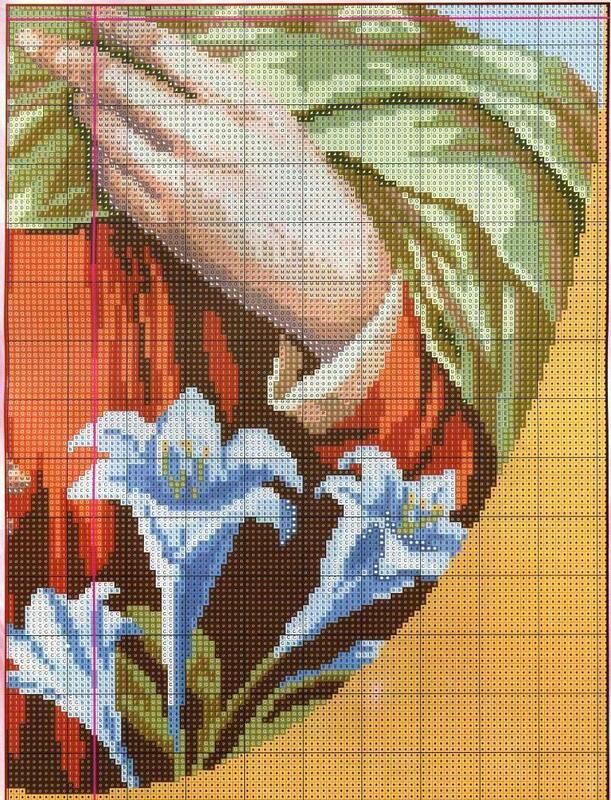 The technique of embroidery is a cross, and the size of the picture is 30x45 centimeters. 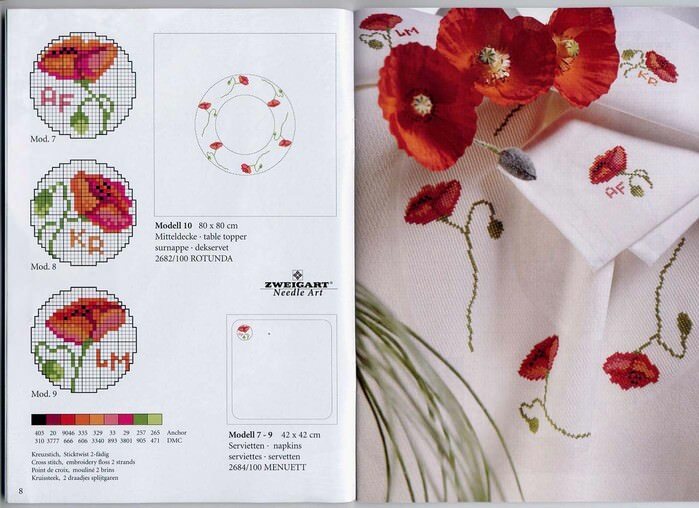 The set also contains a color scheme. 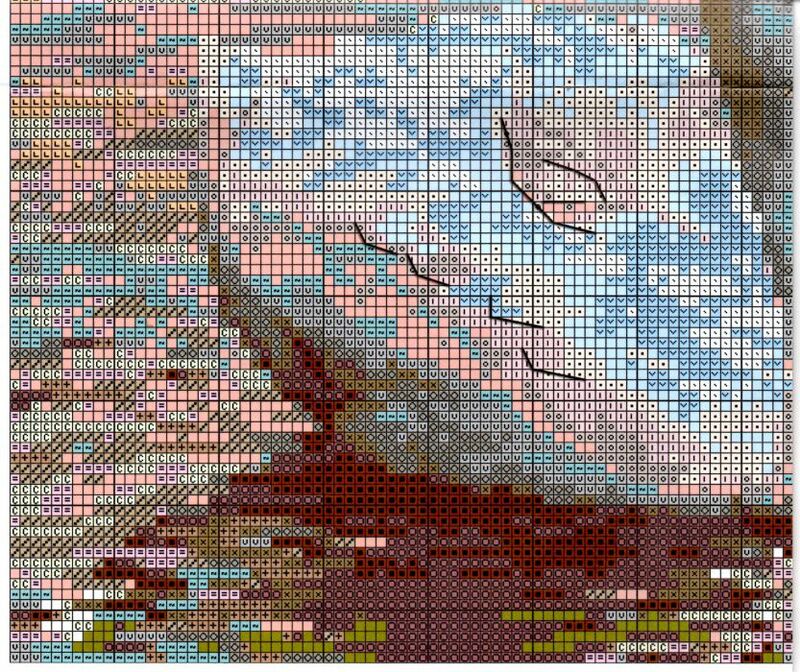 From this picture both ancient andModernity, holiday and daily routine, calm balance and an incomprehensible solemn expectation of what can not be explained in words. 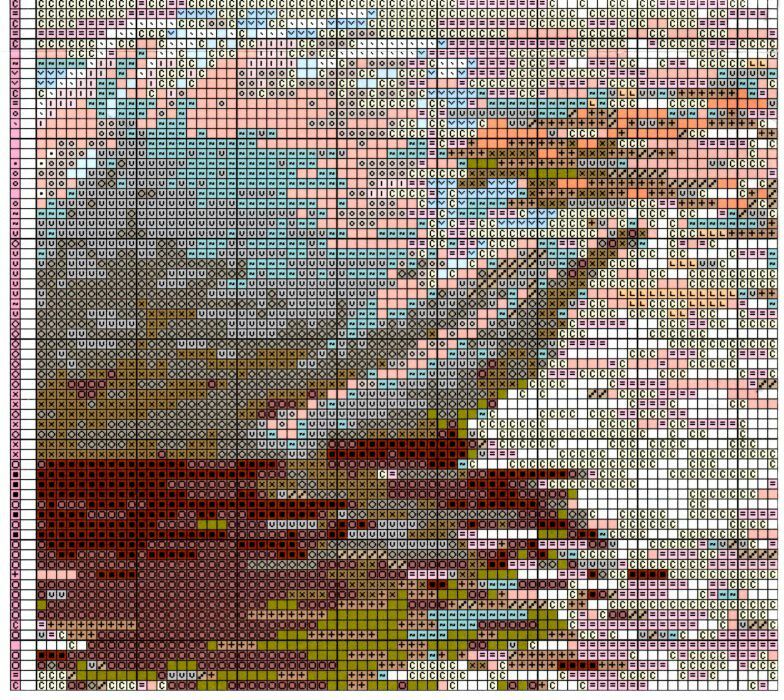 In a word, from the canvas is a mystery, than it attracts the eye. 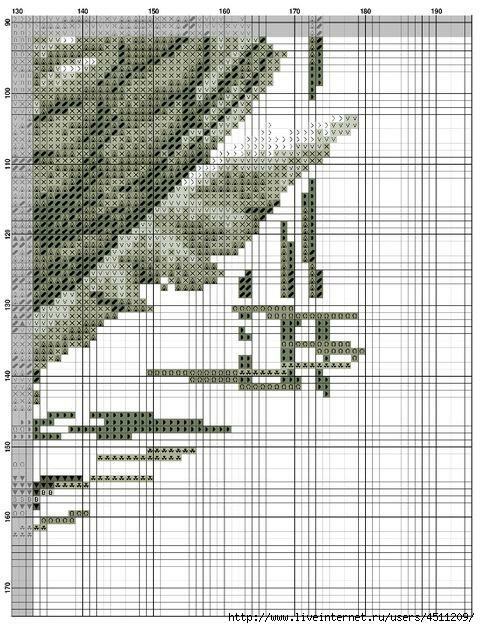 This picture is original with its black and white color. 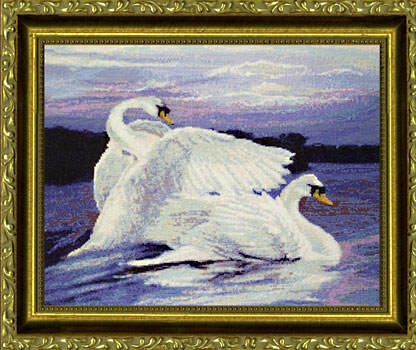 A snow-white fairy bird on a black background makes a very strong impression on the viewer. 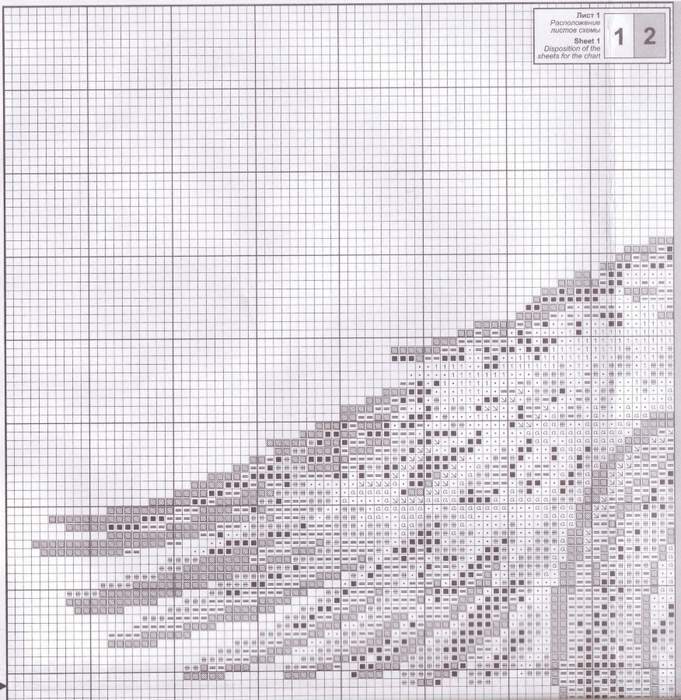 It seems that she is now waving her wings to go up into the sky and fly away. 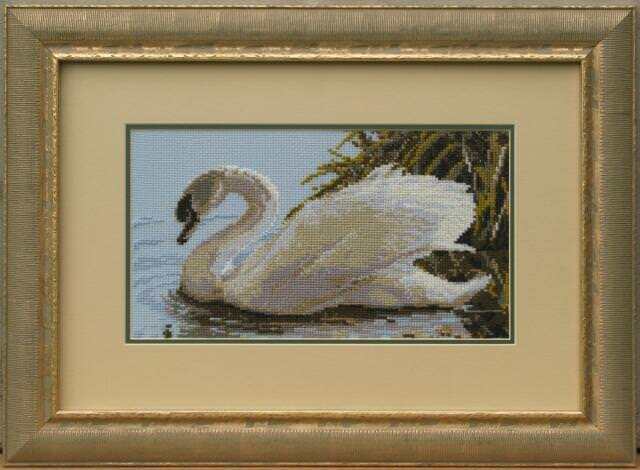 Add the effect seen in the background reed leaves, as well as light ripples on the water. 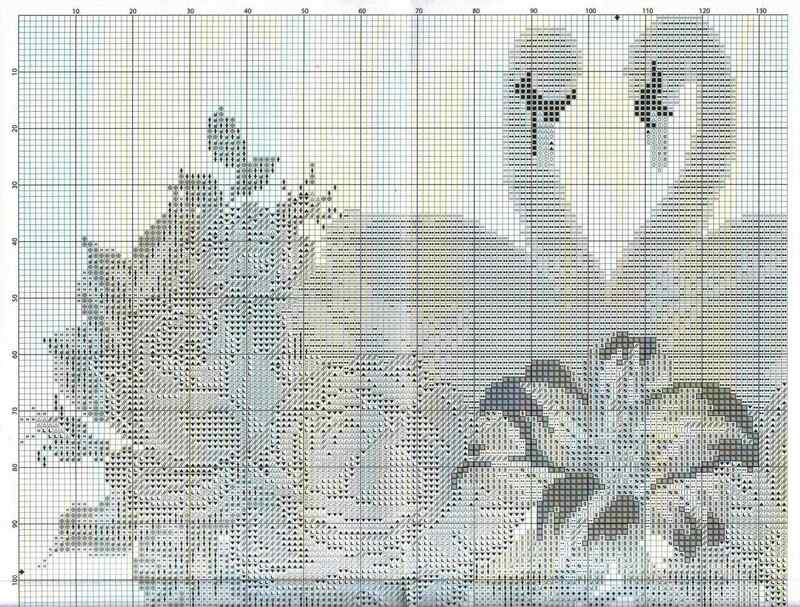 This canvas is more like a black and white photo, and despite the paucity of colors, it gives the impression of wildlife. 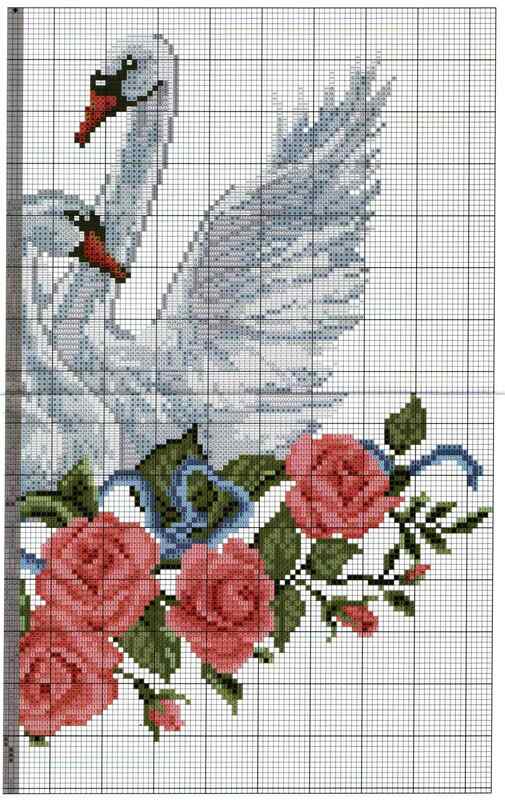 The size of the embroidery is 35x40 centimeters, the technique is a "countable cross". 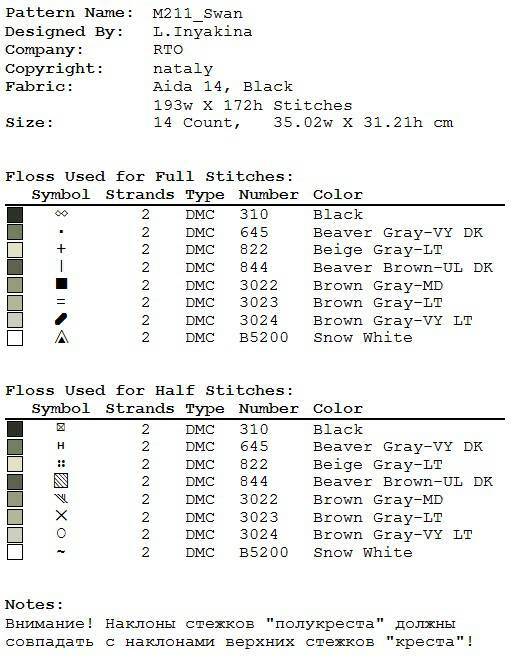 In the set there are threads floss DMC on the cardboard organizer. 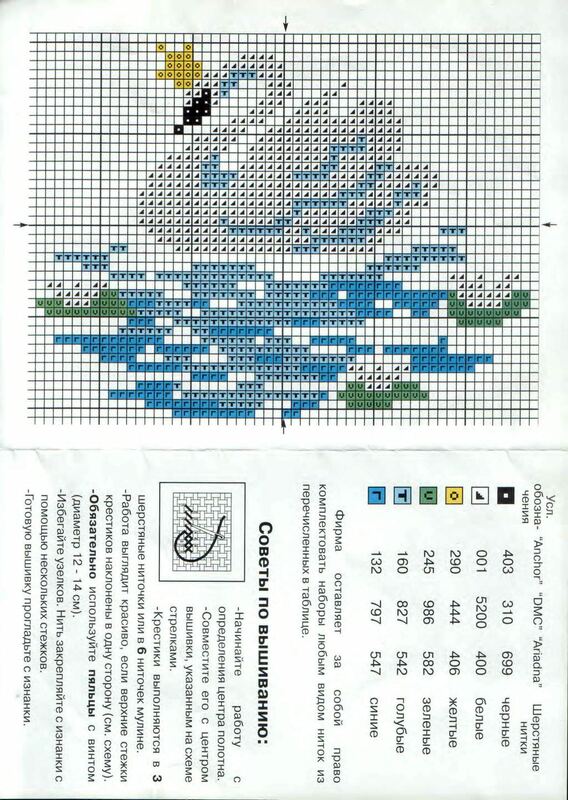 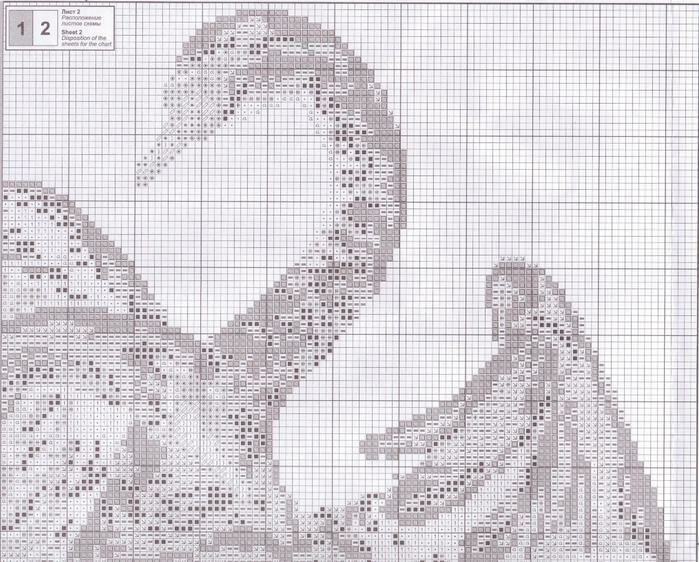 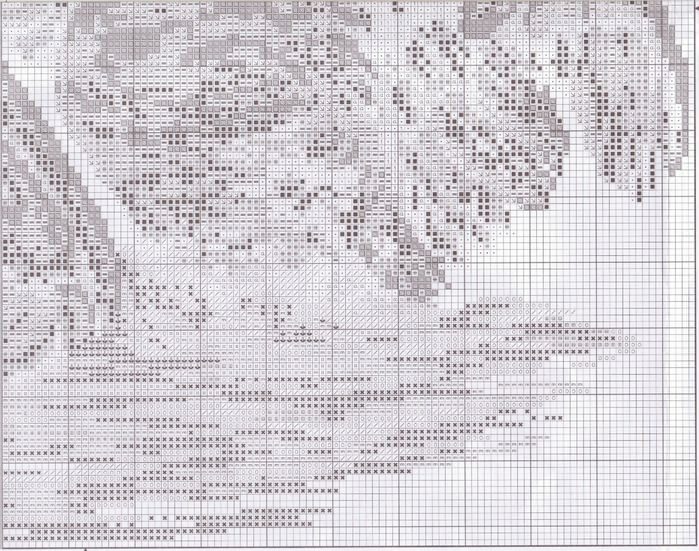 You can also find in it a diagram, a needle, an instruction and a canvas of the black color of Aida 14.